May 12, 2014 May 12, 2014 bcalvanocoaching2 Comments on Weekly Angel Oracle Card Reading for May 12 through 18. Weekly Angel Oracle Card Reading for May 12 through 18. For Monday and Tuesday we have the message, ‘ Yoga’ from Babaji. Known as “the deathless avatar”, Babaji is a famous yogi who overcame all his physical limitations. This fact is validated as many have seen his solid physical form even since after he has departed or ascended this Earth. It was due to Babaji’s support and encouragement that Parahamsa Yogananada came to the western world to teach meditation and teach yoga as a way of spreading enlightenment. Babaji’s messsga is to practice yoga! The answers that we are seeking in any areas of our lives can be found by beginning or sustaining a yoga practice. Yoga is one pointed focus with our breath and taking physical action. It can be as simple as 1 minute or longer, such as 90 minutes. Whether it is sitting in a chair or lotus position, walking, running, dancing, in a hot or cool room, try and do yoga. When our breath and our body are one, we attune to stillness and then connect to infinite consciousness or even divine wisdom. It may sound incredulous or ‘far out’ but when one makes the connection – it is truly amazing and invaluable and you never forget it. Of course in the meantime you will gain flexibility, toning, strength, better focus and you will also will gain clarity and even psychic awareness. Psychic awareness shows up as enhanced intuition, an ability to trust yourself and a deep vast sense of peacefulness (sleep like a baby!). In the beginning of the week Babaji can assist you to begin or go deeper with yoga. There are infinite possibilities from having a yoga practice. It so much more than bending like a pretzel or contortionist. It is the powerful regaining of a dynamic connection of your breath to your mind and spirit allowing perfect peace! Enjoy! For Wednesday and Thursday we have the message, ‘Detach From Drama’ from Pallas Athena. Pallas Athena is the Greek goddess of wisdom also known as Athena. As a war goddess she uses wisdom instead of weapons to win conflicts. Call upon Pallas Athena for any support in dealing with conflicts, unpleasant situations or wisdom. Simply put, her message is: Let go of any attempts to make everyone happy. Allow others to make their own choices in life. Don’t delay your life’s purpose by focusing upon other people’s issues. Avoid gossiping or judging others.There may be more drama to distract you in the middle of this week. There’s a big difference in getting involved with real life emergencies and with dramatic and petty upsets. Notice on Facebook, Twitter posts, your emails or conversations with others – the lower energies where one can easily get pulled into. The answer to your prayers with fulfilling your dreams lie in staying focused and detached to other people’s drama. Ask for help from Athena or Archangel Michael to cut your cords of attachment to any lower energies of people, places and things that leave you drained, anxious or stressed. By practicing this detachment you will honor and respect your own radiant life force. 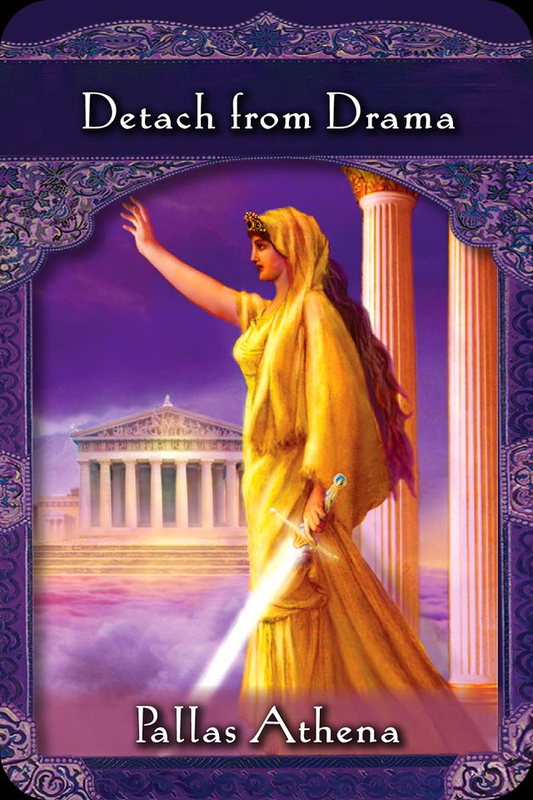 Call upon Athena this week when you experience yourself stuck in emotional turmoil or fear .…even it’s a little! 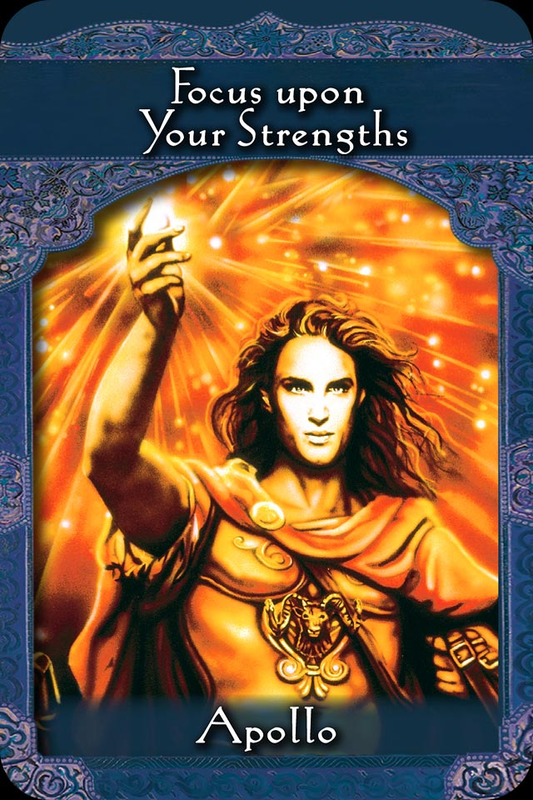 And for the weekend we have the message, ‘Focus upon Your Strengths’ from Apollo. Apollo is the Greek sun god who’s the son of Zeus and twin brother of the goddess Artemis. Apollo can assist us with physical and emotional strength. Here we are being guided to allow more compassion and love for ourselves. Instead of focusing on any perceived weaknesses we are guided to focus on our attributes. Direct our attention to what we are already good at which can include having a pure heart, working well with people, talents, skills and hobbies and skills. By blessing and appreciating our strengths and assets, they will grow. This message also includes igniting an exercise program that supports us in building physical strength! With building physical strength we also grow confidence. The messages for the week combine beautifully. We are guided to connect with our breath, and try yoga or deepen our practice. Connecting the mind-body-spirit, detaching from drama and negativity, and focusing on sharing our positive qualities create a context for living with grace and ease. With all the various challenges we may be facing in our lives, they can be met with powerfully with these simple practices. By honoring and nurturing our life force energy and it will yield even more. 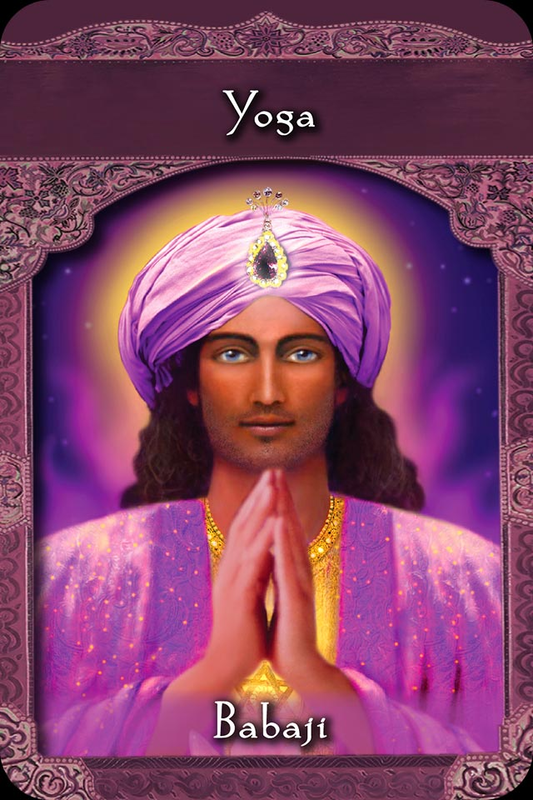 This is our message from the ascended masters this week. Join my email list for the weekly oracle card readings and more! Upcoming Events: Pre –register your sessions in advance if you wish! I love this deck too. It is nice to see “Detach From Drama” show up for mid week/ full moon! Thank you, BloomLisa! I agree! I kept referring to this message for myself these past two days!